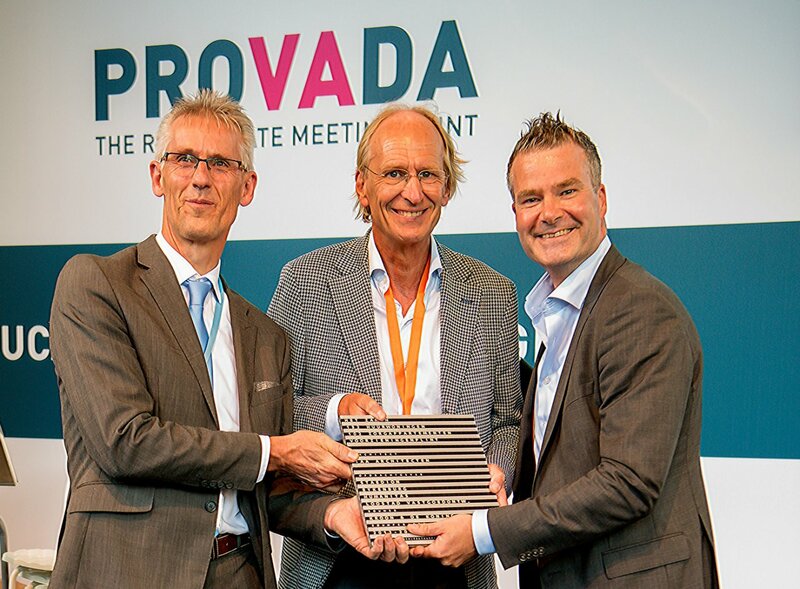 Yesterday, at the Provada real estate fair, Henk Gersen received the architecture plaque for the Het Zamen project in The Hague. The plaque is a modern facade stone and shows the successful collaboration between architect, client and contractor. 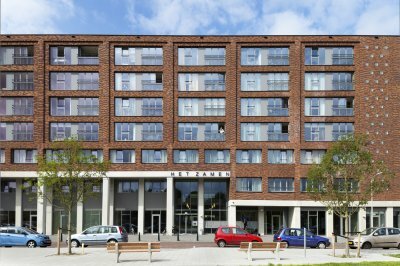 In this case these consisted of housing corporations Staedion, Stichting Eykenburg, Humanitas, Loostad real estate development, construction company Kroon & De Koning and IAA Architecten. 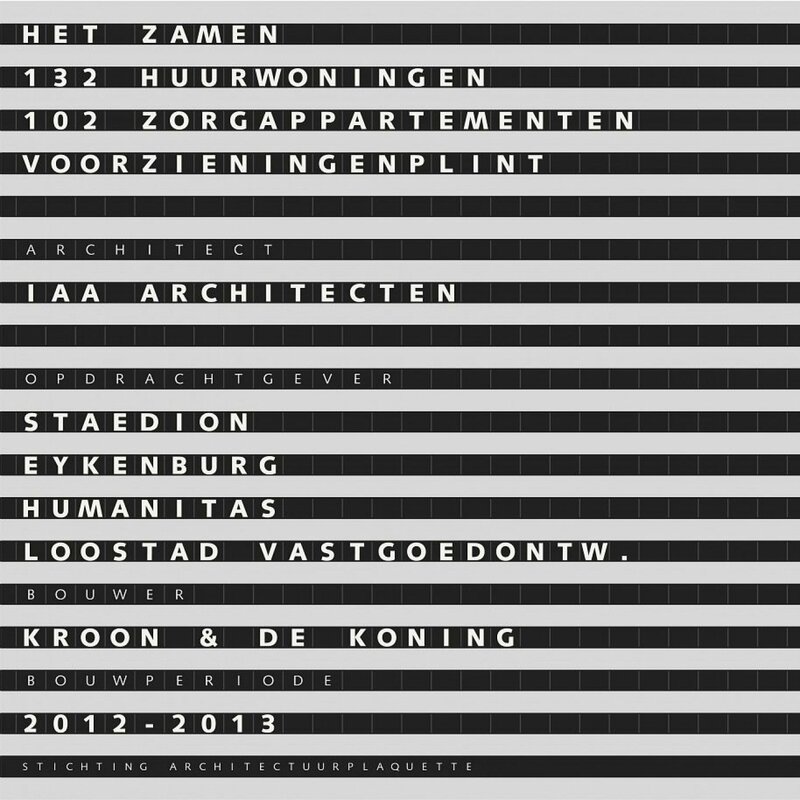 The plaque will be attached to the facade at the entrance of Het Zamen and shows the name of the building, the year of construction and the makers: it is a continuation of the construction board. From a distance it looks like a board with black bars; only close by, all the data becomes visible. In addition, the project is documented in the architecture guide of the Architecture plaque website. 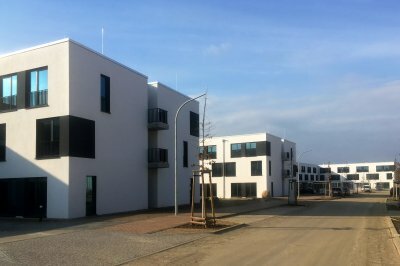 From left tot right: Henk Driesen (Loostad real estate development), Henk Gersen (IAA Architects) and Dré Boidin (housing corporation Staedion).